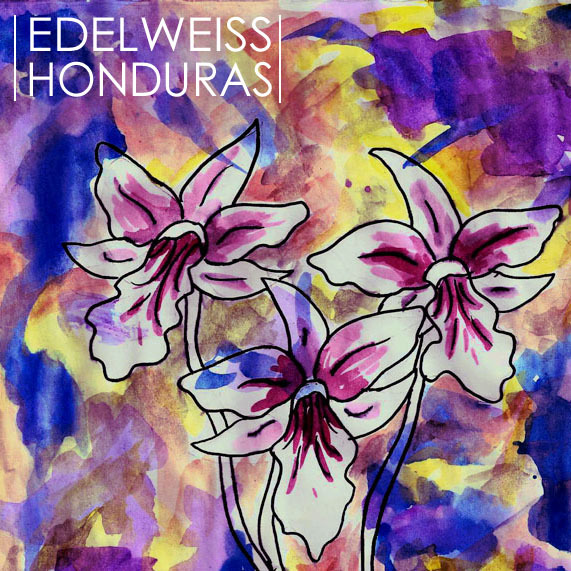 Dry Paint Signs: Edelweiss Gets Hazy on "Honduras"
The five members of Edelweiss are all under 21. Three of them are still in high school. The only reason worth mentioning their ages is that they have an even longer future ahead of them. Having already released the proggy Pre-Columbians EP in 2011, this Tuesday, 8/6, they release their second EP, Honduras. The opening track, "Grand," finds them expanding their math rock sound into shoegaze territory before they pick up the pace and the power with "Withering Heights." Comparisons to Minus the Bear are warranted, but the main difference you'll hear is in the vocals. While MTB's Jake Snider's are mixed on top of the tracks like most pop/rock songs, Edelweiss buries Tony Vitale's and Niko Porlier's a little deeper to create mood pieces instead of singalongs. They still share that jittery energy though. There might actually be too much going on by the middle of "March," what with the glockenspiel and all, but it chills out nicely in the end to almost an independent film score. "Midas" wraps things up with a darkwave bow, but make sure to skip past 1:30 of silence at its end to hear a surprise acoustic gift from the band.